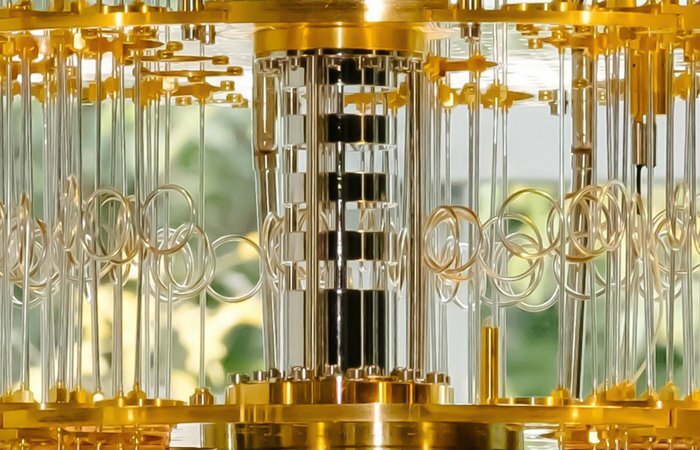 and how they enabled the development of the Era of Quantum Computing. 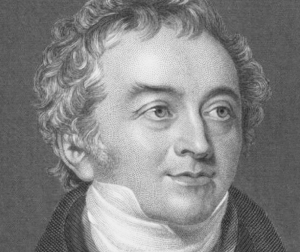 Born to a Quaker family in Somerset, England, in 1773, Thomas Young was the eldest of ten children. At school he excelled in languages and was familiar with more than a dozen, from Persian and Turkish to Greek and Latin. Young studied medicine in London and Edinburgh before gaining a doctorate in physics at Göttingen, Germany, in 1796. Back in England he received a large inheritance that made him independently wealthy. He practised medicine whilst performing science experiments and following an interest in Egyptology. As well as helping to decipher hieroglyphics by translating the passages carved on the Rosetta Stone, Young coined the term ‘energy’ and established the wave theory of light. 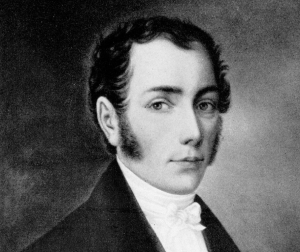 Born in Bavaria, Germany, Fraunhofer was orphaned at age 11 and became an apprentice glassmaker. In 1801 he narrowly missed being killed when the workshop collapsed and buried him. He was rescued by a prince – Maximilian I Joseph of Bavaria – who supported his education and helped him move to a monastery specializing in fine glassmaking. There he learned how to make some of the best optical glass in the world, and eventually became the institute’s director. Like many glassmakers of the time, he died young – aged 39 – owing to poisoning from heavy metal vapours used in the trade. Born in Prussia (now Poland), Michelson moved to the US with his parents in 1855. He trained as a midshipman at the US Naval Academy in optics, heat and climatology, eventually becoming an instructor there. After spending several years studying the physics of light in Germany and France, he returned to the US and became a physics professor at Case Western University, Cleveland, Ohio. It was there that he carried out his interferometer work with Morley that showed the ‘ether’ did not exist. 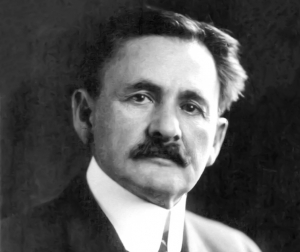 Later, Michelson moved to the University of Chicago and developed interferometers for astronomical use for measuring the sizes and separations of stars. In 1907 he became the first American to win the Nobel Prize for Physics. At school in Munich, Germany, Max Planck’s first love was music. When he asked a musician where he should go to study it he was told he’d better do something else if he had to ask that question. He turned to physics, but his professor complained that physics was a complete science: nothing more could be learned. Fortunately, Planck ignored him and went on to develop the concept of quanta. Planck endured the deaths of his wife and two sons killed in the world wars. Remaining in Germany, he was able to rebuild physics research there in the aftermath. 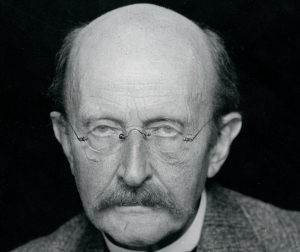 Today, Germany’s prestigious Max Planck research institutes are named after him. 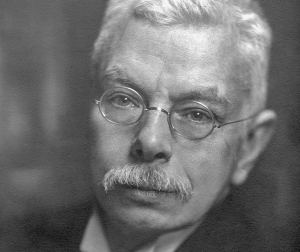 Born in a small town in the Netherlands, Pieter Zeeman became interested in physics when as a high school student he witnessed the aurora borealis in 1883. The schoolboy’s drawing and description of the aurora was praised and published in the international science journal Nature. Zeeman studied physics at the University of Leiden under Kamerlingh Onnes, the discoverer of superconductivity, and Hendrik Lorentz, who worked on general relativity and electromagnetism. Zeeman’s PhD thesis was on magnetism around black holes. In 1896, he was fired for an unsanctioned experiment: discovering the splitting of spectral lines by a strong magnetic field, now known as the Zeeman effect. But he had the last laugh: in 1902 he won the Nobel Prize. In 1905 Albert Einstein published three physics papers, each one groundbreaking. It was quite an achievement for a German-born physicist working part-time in the Swiss Patent Office in Bern. The papers explained Brownian motion, the photoelectric effect and special relativity. In 1915, they were followed by another landmark, the theory of general relativity. That theory was verified spectacularly just four years later by observations during a solar eclipse. Einstein became a household name. He was awarded the Nobel Prize in 1921 for his work on the photoelectric effect. In 1933, Einstein moved to the United States. He lent his name to a famous letter warning President Roosevelt of the risk that the Germans were developing a nuclear weapon, which led to the creation of the Manhattan Project. 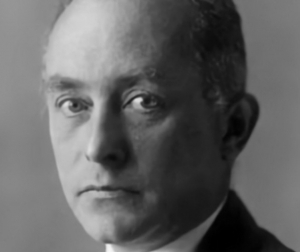 Raised in what is now Wrocław, Poland (then the Prussian province of Silesia), Max Born studied mathematics in Breslau, Heidelberg and Zurich before arriving at the University of Göttingen in 1904. Recognized as an exceptional student, he was mentored by many famous mathematicians and befriended Albert Einstein. In 1925, Born and Werner Heisenberg, with Born’s assistant Pascual Jordan, formulated the matrix mechanics representation of quantum mechanics, one of the landmarks of physics. But the trio did not receive the Nobel Prize together. Heisenberg won it in 1932 – alone. Born eventually won one in 1954. It has been speculated that Jordan’s involvement with the Nazi party may have reduced Born’s chances, even though Born, who was Jewish, fled Germany for England in 1933. Born was, like Einstein, a pacifist and anti-nuclear campaigner. Niels Bohr’s institute in Copenhagen was at the heart of the development of quantum theory. 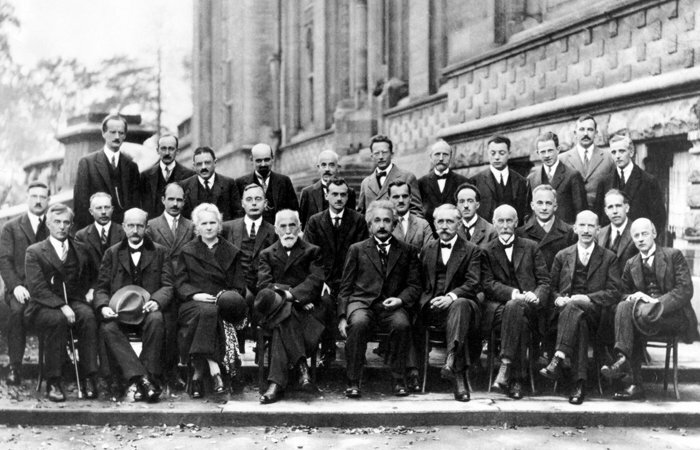 All the best physicists, from Heisenberg to Einstein, made regular visits. Bohr set up the department after spending time in England when he had finished his doctorate in theoretical physics at Copenhagen University. After clashing with J.J. Thomson, the discoverer of the electron, in Cambridge and working with the nuclear pioneer Ernest Rutherford in Manchester, Bohr returned to Denmark in 1916 to pursue his own concept of the atom. He earned a Nobel Prize for the work in 1922.As Hitler rose to power in Germany in the 1930s, scientists travelled to Bohr’s institute in the Danish capital to debate the intricacies of quantum theory. In 1943 when Denmark was occupied, Bohr fled by fishing boat to Sweden and then to England, where he joined the British war effort. Bohr travelled to Los Alamos and advised on the Manhattan Project, although he campaigned against nuclear weapons. 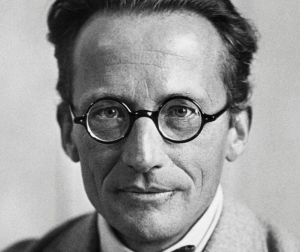 Erwin Schrödinger was born in Vienna, the son of a botanist. He chose to study theoretical physics at university, although he was also interested in poetry and philosophy. During the First World War, he served with the Austrian artillery in Italy, keeping up his physics research while on the front. Schrödinger returned to academic posts in universities including Zurich and Berlin. But as the Nazis came to power, he decided to leave Germany and moved to Oxford. Soon after he arrived there he heard he had won the 1933 Nobel Prize, with Paul Dirac, for quantum mechanics. In 1936 he returned to Graz in Austria, but political events again overtook him. He lost his job after criticizing the Nazis, and eventually moved to the Institute for Advanced Studies in Dublin, where he stayed until retiring to Vienna. Schrödinger’s personal life was complicated: he had numerous affairs, many with his wife’s knowledge, and had several children with other women. 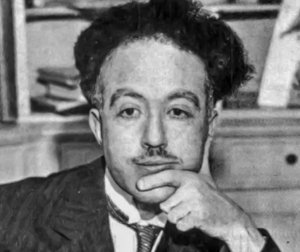 Aiming to become a diplomat, Louis de Broglie entered the Sorbonne in Paris in 1909 to study history, but he soon switched to physics. After serving in the army telegraphy section, based at the Eiffel Tower, during the First World War, he returned to the Sorbonne to pursue mathematical physics. Inspired by Max Planck’s work on black-body radiation, de Broglie put forward his wave–particle duality theory in his doctoral thesis in 1924, later winning the Nobel Prize in 1929. He explained that he got the idea from discussing his brother Maurice’s work on X-rays, implying that X-rays were both waves and corpuscles. 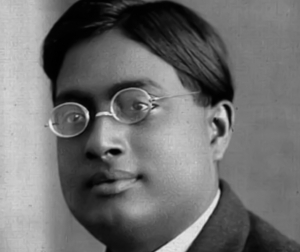 Satyendra Nath Bose was born in Kolkata, then Calcutta, in West Bengal, India. He studied mathematics, graduating with a master’s degree in 1913 with the highest marks ever attained at the University of Calcutta. In 1924, Bose wrote an influential paper presenting a novel way of deriving Max Planck’s law of quantum radiation. It started the field of quantum statistics and got the eye of Albert Einstein, who translated it into German and republished it. Bose worked in Europe for several years with Louis de Broglie, Marie Curie and Einstein, before returning in 1926 to the University of Dacca in Bengal, where he set up laboratories to do X-ray crystallography. After India was partitioned, Bose returned to Calcutta. He devoted much time to promoting the Bengali language. Bose never won the Nobel Prize. When asked about that, Bose said, ‘I have got all the recognition I deserve. Hund grew up in the German town of Karlsruhe. He studied mathematics, physics and geography in Marburg and Göttingen, eventually returning to a position at Göttingen in 1957. 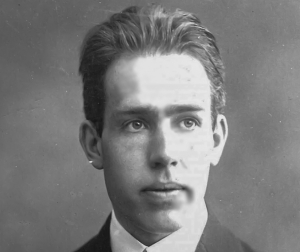 Hund visited Niels Bohr in Copenhagen and was a colleague of Erwin Schrödinger and Werner Heisenberg. He worked with Max Born on a quantum interpretation of the spectra of diatomic molecules, such as molecular hydrogen. In 1926 he discovered quantum tunnelling. Hund’s rules for filling up electron shells are still widely used in physics and chemistry. 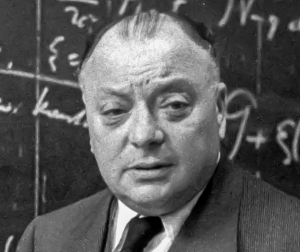 As a precocious schoolboy in Vienna, Wolfgang Pauli smuggled Albert Einstein’s papers on special relativity into his desk and secretly read them. Within months of his arrival at university in Munich, Pauli published his first paper on relativity. And then he turned to quantum mechanics. Werner Heisenberg described Pauli as a ‘typical nightbird’ who spent evenings in cafés and rarely rose to attend morning lectures. Following the suicide of his mother and the failure of his first marriage, Pauli developed a drink problem. Seeking help from the Swiss psychologist Carl Jung, Pauli sent him descriptions of thousands of his dreams, some of which Jung later published. During the Second World War, Pauli moved to the United States for several years, during which he worked hard to keep European science going. He returned to Zurich, receiving the Nobel Prize in 1945. 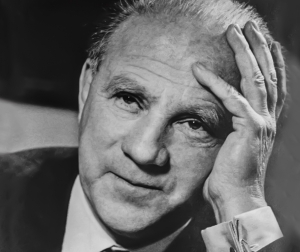 Werner Heisenberg grew up in Munich, Germany, and loved the mountains. As a teenager during the First World War he worked on a dairy farm, reading mathematics and playing chess in his spare time. At Munich University he studied theoretical physics, completing a doctorate unusually early. Heisenberg took up a professorship at Leipzig aged just 25, and worked in Munich, Göttingen, and Copenhagen, where he met Niels Bohr and Albert Einstein. In 1925 he invented matrix mechanics, receiving the Nobel Prize in 1932. His uncertainty principle was formulated in 1927. During the Second World War Heisenberg led the German nuclear weapons project, which was ultimately unsuccessful in producing a bomb. Whether he deliberately delayed the project or lacked the resources is still debated. Paul Dirac has been called ‘the strangest man’. He admitted that he never started a sentence without knowing how to finish it; people joked that his only words were ‘Yes’, ‘No’, and ‘I don’t know’. Luckily he was as brilliantly clever as he was acutely shy. His doctorate, completed at Cambridge University in record time and characteristic brevity, was a completely new picture of quantum mechanics. 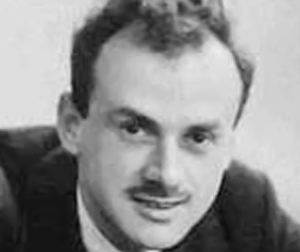 Dirac went on to incorporate relativity theory into quantum theory and to predict the existence of antimatter, plus pioneering work in early quantum field theory. When he was awarded the Nobel Prize in 1933, fearing the publicity, Dirac hesitated to go and accept it. He only agreed when told that he might get more attention if he turned it down. Pascual Jordan was born in Hanover, Germany. His father was an artist and hoped his son would follow a similar path, but Jordan chose science. After attending Hanover Technical University, Jordan earned a PhD at Göttingen University, where he worked with Max Born. In 1925, Born, Werner Heisenberg and Jordan published the first theory of quantum mechanics. A year later Jordan extended the idea of energy quanta to all fields – the first steps in Quantum Field Theory. Jordan never received the Nobel Prize, perhaps because he joined the Nazi party during the Second World War. 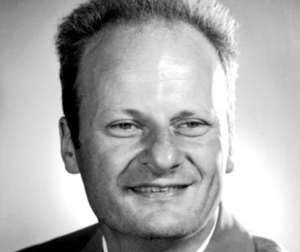 Born in Strasbourg, now in France but then part of the German Empire, Hans Bethe showed an early flair for mathematics. Also a keen writer, he had an odd habit of writing forwards and then backwards on alternate lines. Bethe chose to study physics at the University of Frankfurt because ‘mathematics seemed to prove things that are obvious’. 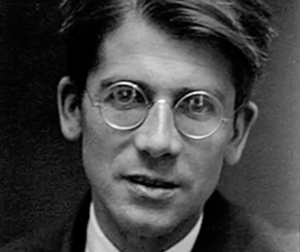 He went to Munich, and completed his PhD in electron diffraction by crystals in 1928. Moving to Cambridge, Bethe’s humour came to the fore when he published (and later retracted) a hoax paper on absolute zero to tease his colleague Arthur Eddington. During the war, Bethe (who was of Jewish heritage) moved to the United States, and he remained at Cornell University for the rest of his career. He worked on nuclear research and the Manhattan Project and solved the problem of how stars shine by proposing fusion reactions. This won him the Nobel Prize. Bethe’s sense of fun prevailed when he lent his name to a famous paper that is now known as the ‘alpha, beta, gamma’ paper, by R. Alpher, H. Bethe, and G. Gamow. 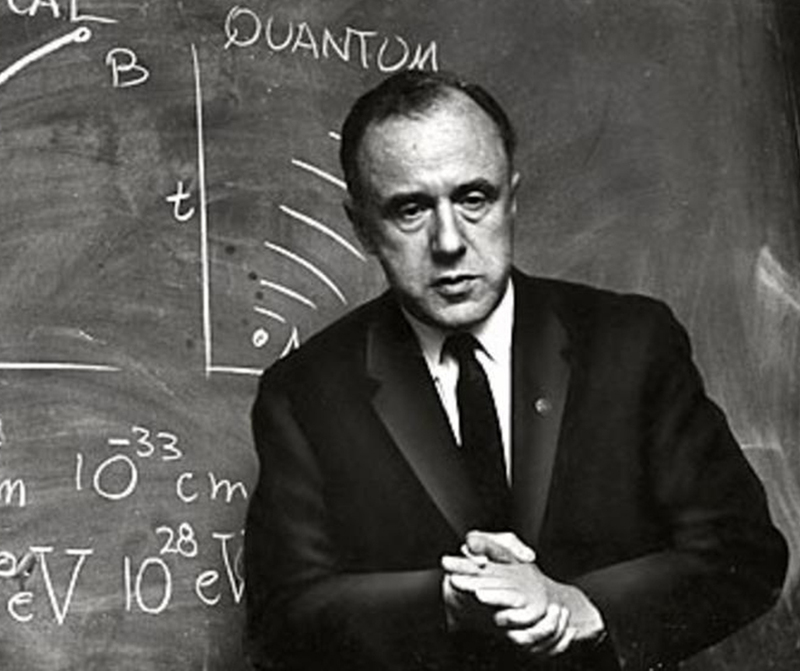 John Archibald Wheeler was an American theoretical physicist. 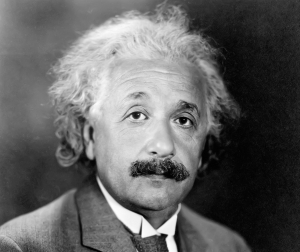 He was largely responsible for reviving interest in general relativity in the United States after World War II. Wheeler also worked with Niels Bohr in explaining the basic principles behind nuclear fission. 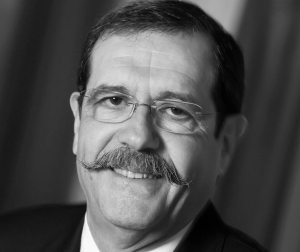 Together with Gregory Breit, Wheeler developed the concept of the Breit–Wheeler process. He is best known for linking the term “black hole” to objects with gravitational collapse already predicted early in the 20th century, for coining the terms “quantum foam”, “neutron moderator”, “wormhole” and “it from bit”, and for hypothesizing the “one-electron universe”. Wheeler’s delayed choice experiment is actually several thought experiments in quantum physics that he proposed, with the most prominent among them appearing in 1978 and 1984. These experiments are attempts to decide whether light somehow “senses” the experimental apparatus in the double-slit experiment it will travel through and adjusts its behavior to fit by assuming the appropriate determinate state for it, or whether light remains in an indeterminate state, neither wave nor particle, and responds to the “questions” asked of it by responding in either a wave-consistent manner or a particle-consistent manner depending on the experimental arrangements that ask these “questions”. Born and raised in Pennsylvania, USA, Bohm obtained his doctorate in theoretical physics at the University of California, Berkeley – in the group directed by the ‘father of the atomic bomb’, Robert Oppenheimer. Bohm engaged in radical politics, joining local communist and pacifist groups. As a result he was blocked from joining the Manhattan Project during the Second World War and some of his work was classified – even he couldn’t access it. After the war, Bohm moved to Princeton University and worked with Einstein. When McCarthyism took off against suspected communists, Bohm refused to testify to a committee and was arrested. He was acquitted in 1951, but had to leave the country as Princeton had suspended him. Bohm spent years in São Paulo, Brazil, and Haifa, Israel, before moving to the UK in 1957, where he held positions at the University of Bristol and Birkbeck College, London. 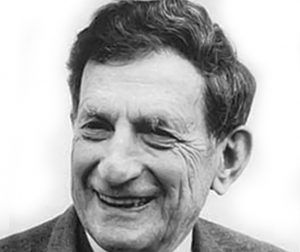 In his later years, as well as quantum physics Bohm also worked on cognition and social issues. Born and raised in New York, Richard Feynman was apparently a late talker. Having not spoken a word until he was three, he made up for it in his later life as a renowned lecturer and brilliant physicist. 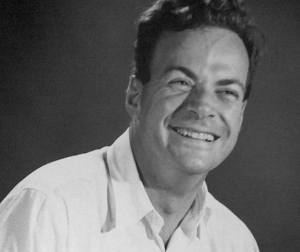 Feynman studied physics at Columbia University and then Princeton, and was invited to work as a junior scientist on the Manhattan Project at Los Alamos. Feynman was a prankster and liked to play jokes on his colleagues in the New Mexico desert. He broke into people’s filing cabinets by guessing obvious lock combinations, such as the natural log e = 2.71828 …, and left notes behind. He took up drumming and dancing in the desert – rumours developed of an ‘Injun Joe’. After the war, Feynman eventually moved to Caltech, in part due to the warm weather. Known as ‘the great explainer’, Feynman was a supreme teacher and wrote a famous set of books encapsulating his lecture series. As well as QED, for which he won the Nobel Prize, Feynman worked on theories of the weak nuclear force and superfluids. In a famous talk, ‘There’s plenty of room at the bottom’, he set the foundations of nanotechnology. Described by his colleague Freeman Dyson as ‘half-genius, half-buffoon’, Feynman later became ‘all-genius, all-buffoon’. Born in California, Bryce DeWitt studied physics under Julian Schwinger at Harvard University. He served in the Second World War as a naval aviator and after several positions ended up at the University of Texas at Austin, where he headed a centre for general relativity theory. DeWitt formulated the Wheeler–DeWitt equation for the wavefunction of the universe with John Wheeler, and advanced Hugh Everett’s many-worlds interpretation of quantum mechanics. A keen mountaineer, DeWitt started an influential summer school at Les Houches in France. Throughout his life he worked closely with his wife, the mathematical physicist Cécile DeWitt-Morette. John Bell was born in Belfast, Northern Ireland, and studied physics at Queen’s University, Belfast. He completed his PhD in nuclear and quantum physics at the University of Birmingham in 1956. Bell worked with the UK Atomic Energy Research Establishment, near Harwell, Oxfordshire, and then moved to the European Council for Nuclear Research (CERN, Conseil Européen pour la Recherche Nucléaire), in Geneva, Switzerland. Here he worked on theoretical particle physics and accelerator design, but found time to investigate the foundations of quantum theory. In 1964, after spending a sabbatical year working in the USA, he wrote a paper entitled ‘On the Einstein–Podolsky–Rosen Paradox’, in which he derived the Bell theorem in terms of an expression violated by quantum theory. Abner Eliezer Shimony was an American physicist and philosopher. He specialized in quantum theory and philosophy of science. As a physicist he concentrated on the interaction between relativity theory and quantum mechanics. He has authored many works and research on complementarity in quantum entanglement as well as multiparticle quantum interferometry, both relating to quantum coherence. He has authored research articles and books on the foundations of quantum mechanics. He received the 1966 Lakatos Prize for his work in Philosophy of Science. 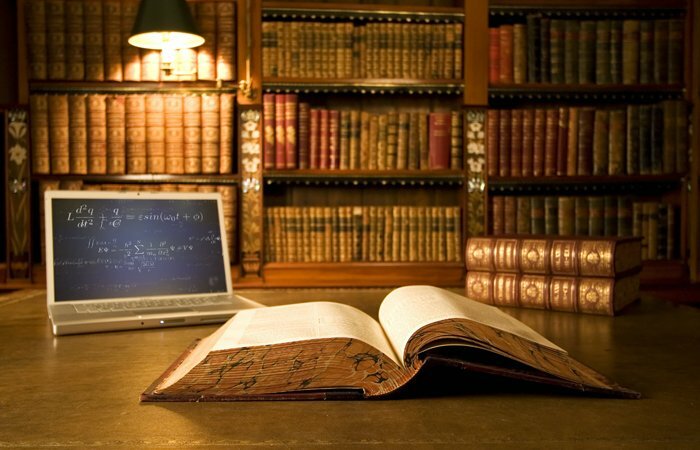 On Stanford Encyclopedia of Philosophy you can read his Bell’s Theorem article. 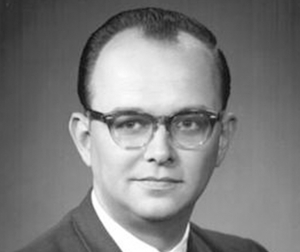 Hugh Everett was born and raised in Washington, DC. He studied chemical engineering at the Catholic University of America, taking a year out to visit his father, who was stationed in West Germany just after the Second World War. Everett moved to Princeton University for his PhD, shifting from game theory to quantum mechanics. He was considered smart but too engrossed in science fiction books. In 1956 He went to work for the Pentagon on nuclear weapons modelling. At John Wheeler’s request, Everett visited Niels Bohr in Copenhagen in 1959, but his work got a poor reception. Everett found the visit ‘hell’ and returned to his computing career. In 1970 Everett’s idea was popularized in an article by Bryce DeWitt, which drew a lot of attention. A follow-up book sold out in 1973. Science fiction writers loved the many-worlds concept. Everett died young, aged 51. 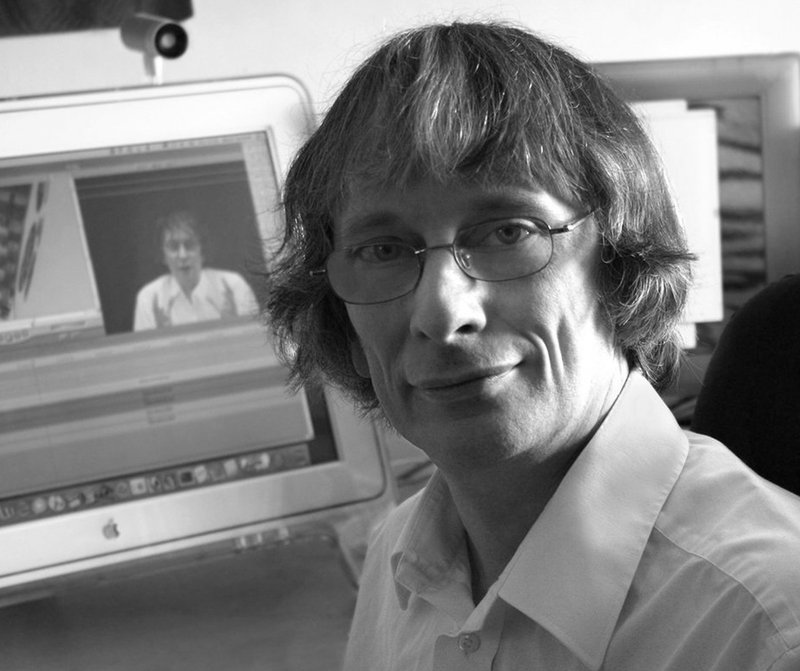 Nick Herbert is an American physicist and author, best known for his book Quantum Reality. 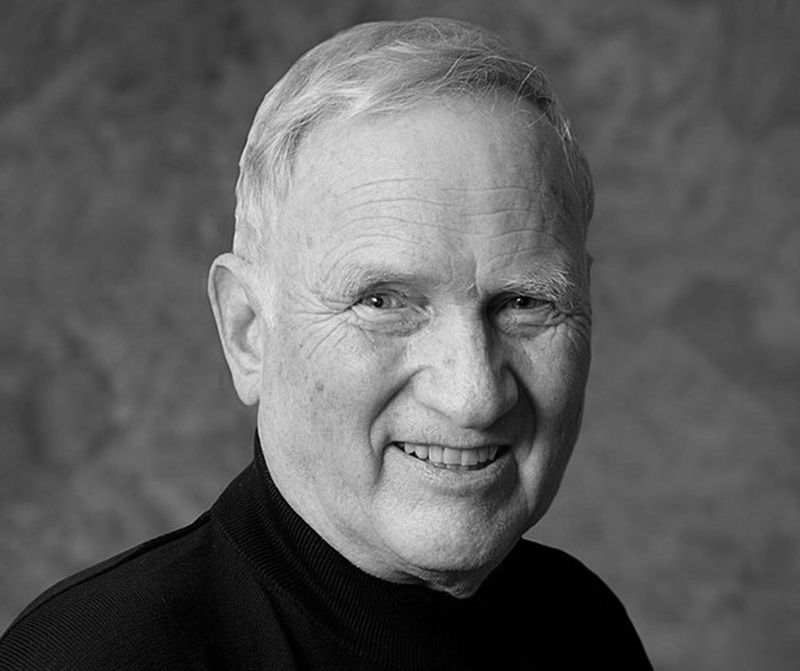 Herbert studied engineering physics at Ohio State University, graduating in 1959. 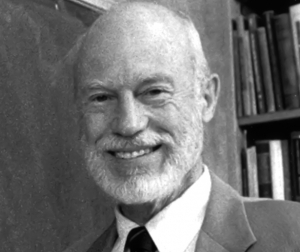 He received a Ph.D. in physics from Stanford University in 1967 for work on nuclear scattering experiments. After a one-year teaching job at Monmouth College in Illinois, Herbert held a number of posts in industry. The most illustrious of these was senior physicist at Memorex Corporation in Santa Clara, California. While employed in industry, Herbert was part of the Fundamental Fysiks Group at Lawrence Berkeley National Laboratory, founded in May 1975 by Elizabeth Rauscher and George Weissmann. The group’s initial interest was in the interpretation of quantum mechanics, the EPR paradox, and Bell’s inequality, but members pursued diverse interests that lay outside of mainstream physics, exploring psychedelic drugs, psi phenomena, the nature of consciousness, and speculative connections of these areas with quantum physics. During the 1970s and 1980s, Herbert and Saul-Paul Sirag organized a yearly Esalen Seminar on the Nature of Reality, bringing together participants to discuss the interpretation of quantum mechanics. 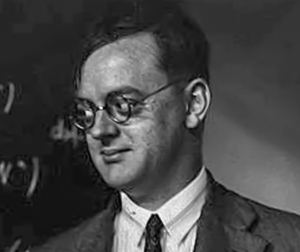 John Francis Clauser is an American theoretical and experimental physicist known for contributions to the foundations of quantum mechanics, in particular the Clauser-Horne-Shimony-Holt inequality. John Clauser was born in Pasadena, California. He received his B.S. in physics from the California Institute of Technology in 1964. He received his M.A. in physics in 1966 and his Ph.D. in physics in 1969 from Columbia University. From 1969 to 1996 he worked mainly at Lawrence Berkeley National Laboratory, Lawrence Livermore National Laboratory, and the University of California, Berkeley. Clauser was awarded the Wolf Prize in Physics in 2010 together with Alain Aspect and Anton Zeilinger. In 1972, working with Stuart Freedman, he carried out the first experimental test of the CHSH-Bell’s theorem predictions. This was the world’s first observation of quantum entanglement, and was the first experimental observation of a violation of a Bell inequality. In 1974, working with Michael Horne, he first showed that a generalization of Bell’s Theorem provides severe constraints for all local realistic theories of nature (a.k.a. objective local theories). That work introduced the Clauser–Horne (CH) inequality as the first fully general experimental requirement set by local realism. It also introduced the “CH no-enhancement assumption”, whereupon the CH inequality reduces to the CHSH inequality, and whereupon associated experimental tests also constrain local realism. Also in 1974 he made the first observation of sub-Poissonian statistics for light (via a violation of the Cauchy–Schwarz inequality for classical electromagnetic fields), and thereby, for the first time, demonstrated an unambiguous particle-like character for photons. 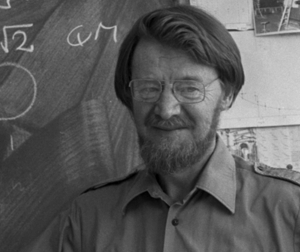 In 1976 he carried out the world’s second experimental test of the CHSH-Bell’s Theorem predictions. Anton Zeilinger was born 1945 in Austria. Now a professor at the University of Vienna and the Austrian Academy of Sciences, since the 1970s he has been a pioneer of experiments in quantum entanglement. He has described the correlated polarizations of photon pairs used in the experiments as like a pair of dice that always land on matching numbers. Zeilinger’s group has held many records – for the longest distance over which entangled photons have been sent and for the number of photons entangled. In 1997 Zeilinger demonstrated quantum teleportation – the imprinting of a quantum state from one onto a second entangled particle. ‘All I do is for the fun,’ he says. Alain Aspect was born in 1947 in Agen, in the French region of Lot-et-Garonne. He studied physics at the École Normale Supérieure de Cachan and at the Université d’Orsay. After completing his master’s degree he did his national service, teaching for three years in Cameroon. While there, he became intrigued by Bell’s inequalities. Aspect returned to Cachan, and carried out his experiments on entangled photons at Orsay before he obtained his PhD. He went on to hold a position at the prestigious Collège de France, where he turned to working on ultra-cold atoms slowed by lasers, a technique used in atomic clocks. 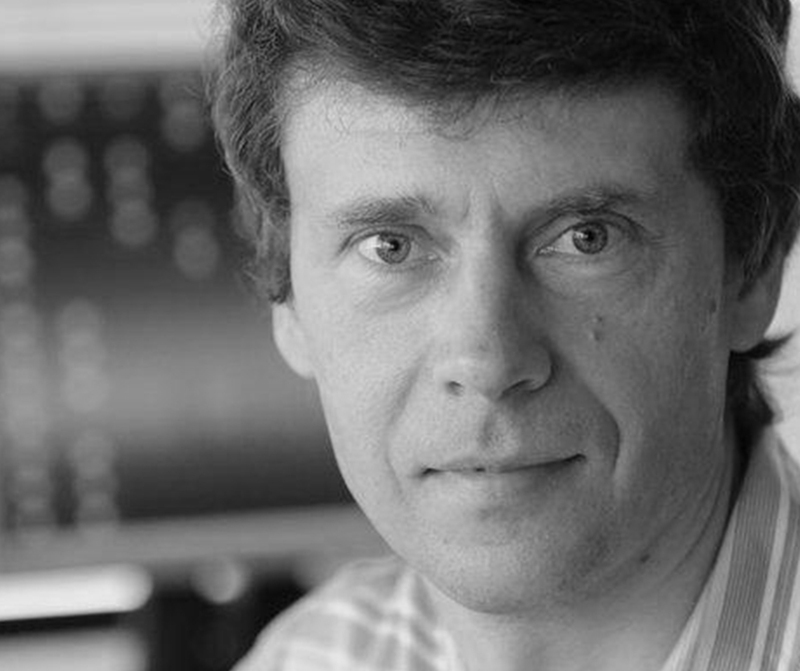 Now a senior researcher at CNRS, Aspect runs the atomic optics group at Orsay and has many links to industry. David Elieser Deutsch is an Israeli-born British physicist at the University of Oxford. He is a Visiting Professor in the Department of Atomic and Laser Physics at the Centre for Quantum Computation (CQC) in the Clarendon Laboratory of the University of Oxford. 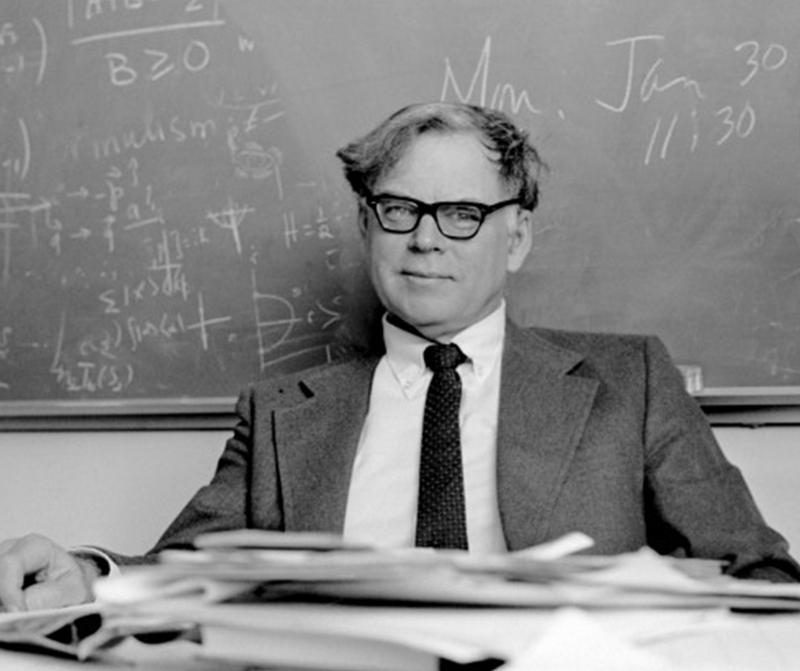 He pioneered the field of quantum computation by formulating a description for a quantum Turing machine, as well as specifying an algorithm designed to run on a quantum computer. He is a proponent of the many-worlds interpretation of quantum mechanics. Peter Williston Shor is an American professor of applied mathematics at MIT. 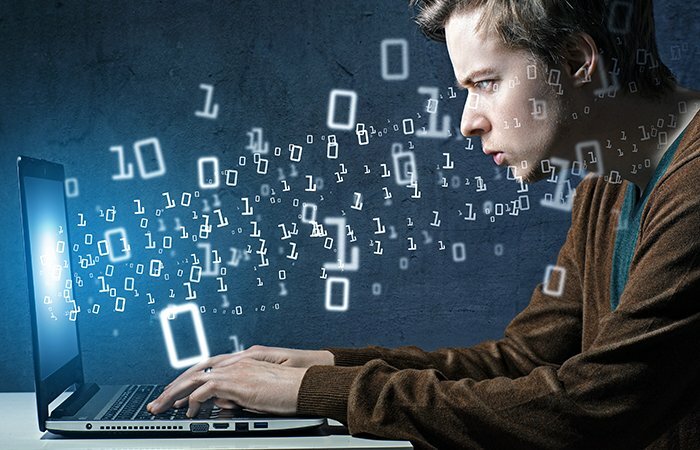 He is known for his work on quantum computation, in particular for devising Shor’s algorithm, a quantum algorithm for factoring exponentially faster than the best currently-known algorithm running on a classical computer. While attending Tamalpais High School, in Mill Valley, California, he placed third in the 1977 USA Mathematical Olympiad. After graduating that year, he won a silver medal at the International Math Olympiad in Yugoslavia (the U.S. team achieved the most points per country that year). He received his B.S. in Mathematics in 1981 for undergraduate work at Caltech, and was a Putnam Fellow in 1978. 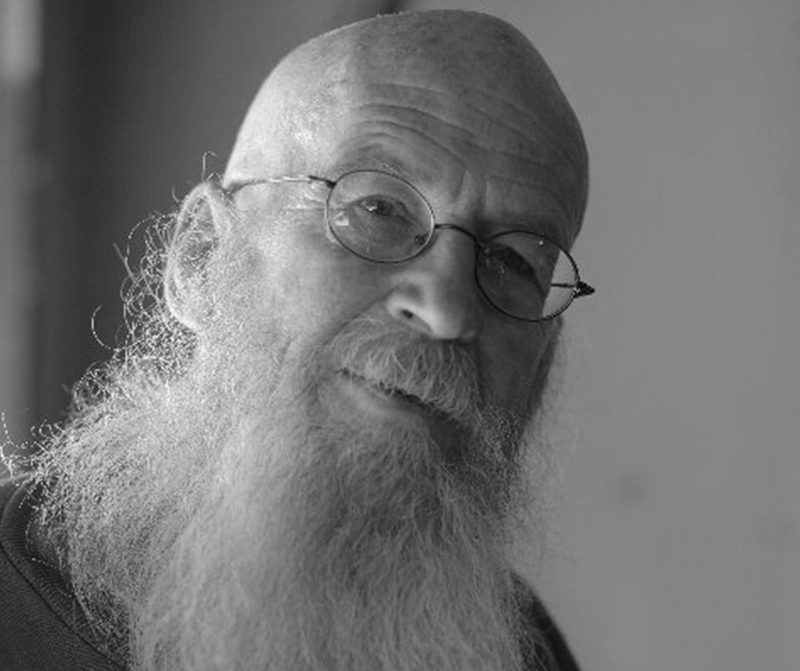 He earned his Ph.D. in Applied Mathematics from MIT in 1985.His doctoral advisor was F. Thomson Leighton, and his thesis was on probabilistic analysis of bin-packing algorithms. After graduating, he spent one year in a post-doctoral position at the University of California at Berkeley, and then accepted a position at Bell Laboratories. 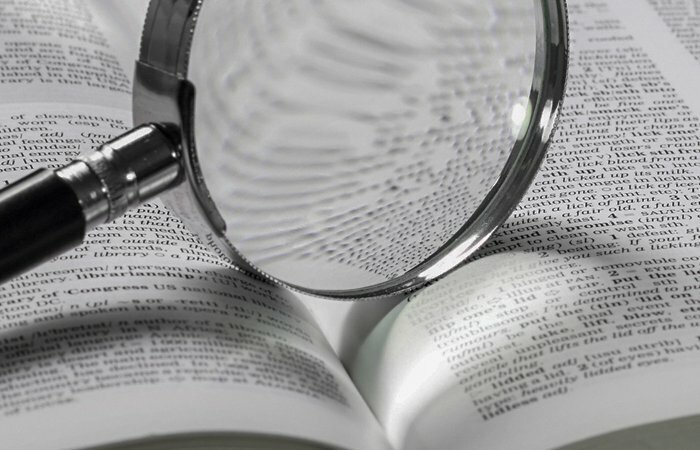 It was there he developed Shor’s algorithm, for which he was awarded the Rolf Nevanlinna Prize at the 23rd International Congress of Mathematicians in 1998 and the Gödel Prize in 1999. In 2017 he received the Dirac Medal of the ICTP. Shor began his MIT position in 2003. Currently the Henry Adams Morss and Henry Adams Morss, Jr. 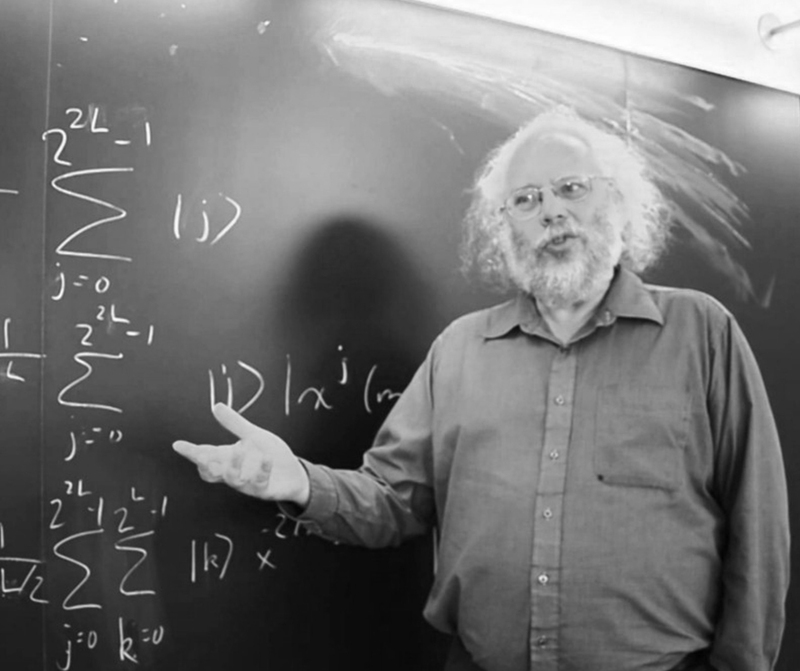 Professor of Applied Mathematics in the Department of Mathematics at MIT, he also is affiliated with CSAIL and the Center for Theoretical Physics (CTP). He received a Distinguished Alumni Award from Caltech in 2007. On October 1, 2011, he was inducted into the American Academy of Arts and Sciences. Lov Kumar Grover is an Indian-American computer scientist. He is the originator of the Grover database search algorithm used in quantum computing. 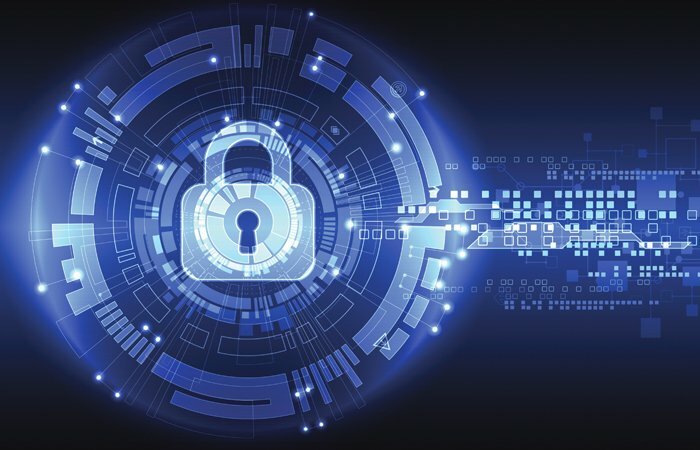 Grover’s 1996 algorithm won renown as the second major algorithm proposed for quantum computing (after Shor’s 1994 algorithm), and in 2017 was finally implemented in a scalable physical quantum system. Grover’s algorithm has been the subject of numerous popular science articles. 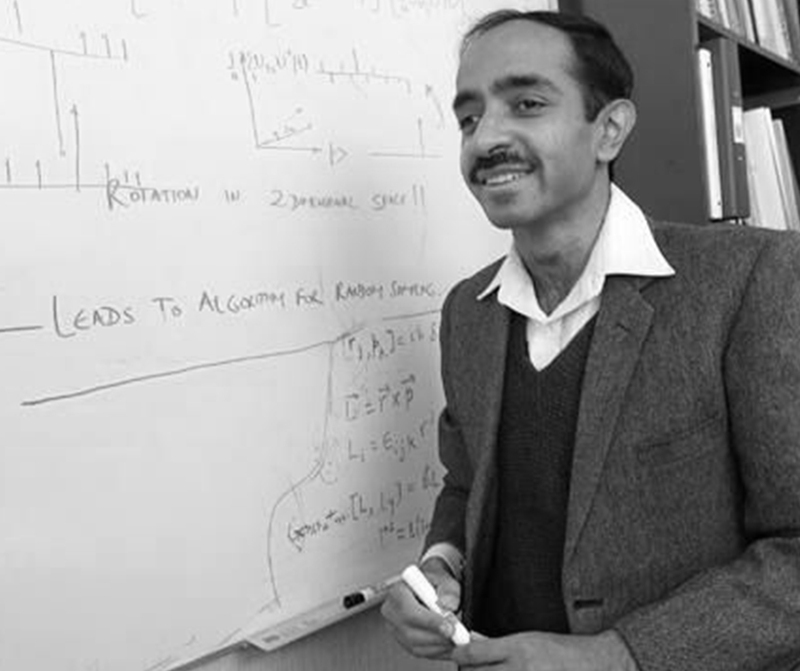 Grover has been ranked as the 9th most prominent computer scientist from India. Grover received his bachelor’s degree from the Indian Institute of Technology, Delhi in 1981 and his PhD in Electrical engineering from Stanford University in 1985. He then went to Bell Laboratories, where he worked for an assistant professor at Cornell University from 1987 to 1995. Alexei Kitaev is a Russian–American professor of physics at the California Institute of Technology and permanent member of the Kavli Institute for Theoretical Physics. 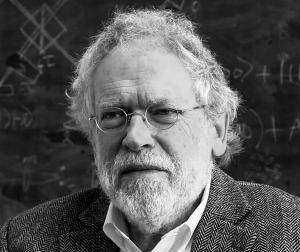 He is best known for introducing the quantum phase estimation algorithm and the concept of the topological quantum computer while working at the Landau Institute for Theoretical Physics.